Engineers at South Korea’s SK Telecom have developed a tiny chip that could help secure communications on a myriad of portable electronics and IOT devices. The chip is just 5 millimeters square—smaller than a fingernail—and is capable of generating mathematically provable random numbers. Such numbers are the basis for highly-secure encryption systems and producing them in such a small package hasn’t been possible until now. 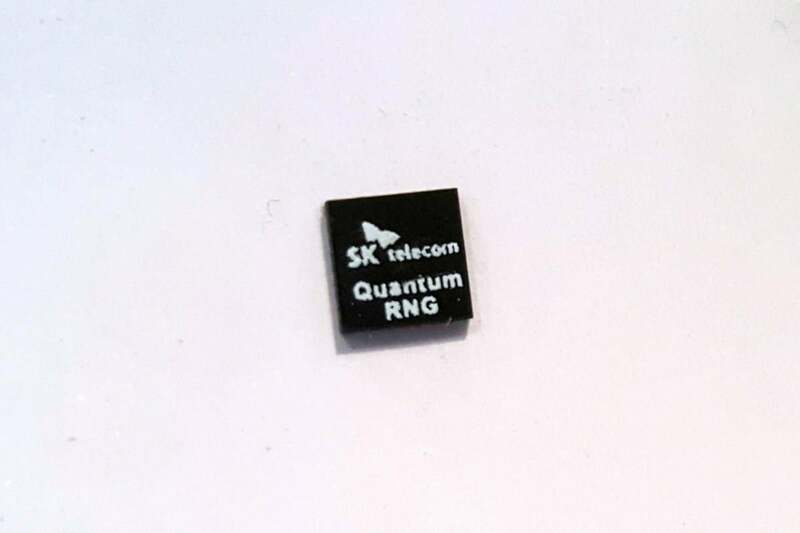 The chip, on show at this week’s Mobile World Congress in Barcelona, could be in sample production as early as March this year and will cost a few dollars once in commercial production, said Sean Kwak, director at SK Telecom’s quantum technology lab. The device works by exploiting something called quantum shot noise, he said. Inside the chip two LEDs produce photons that bounce off the inner walls of the chip and are detected by a CMOS image sensor that’s also built inside the chip. The shot noise is a result of that detection and is random in nature.